Supplement Aluminium Oven Door with chimney outlet in stainless steel! 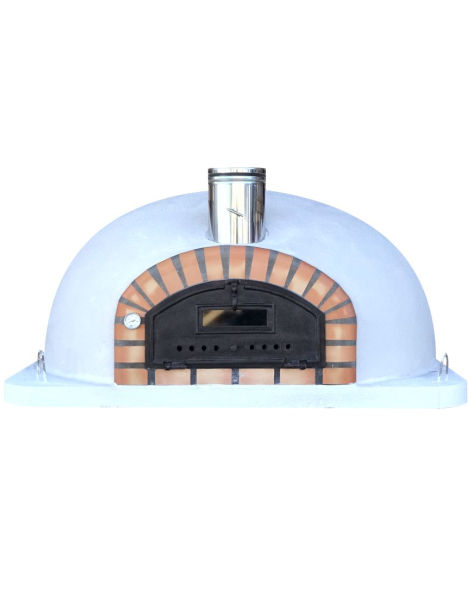 Available for all sizes (90cm, 100cm and 120cm)ofPIZZAIOLI - BRAZZA - ENNIO - PIZZAIOLI PIETRA ovens. Please add this product to cart in order to receive a Black Steel Oven Door on your chosen oven model. Supplement Aluminium Oven Door PIZZAIOLI - BRAZZA - ENNIO - PIZZAIOLI PIETRAis only available for clients who have ordered an oven in our site.